Athleisure Basics. 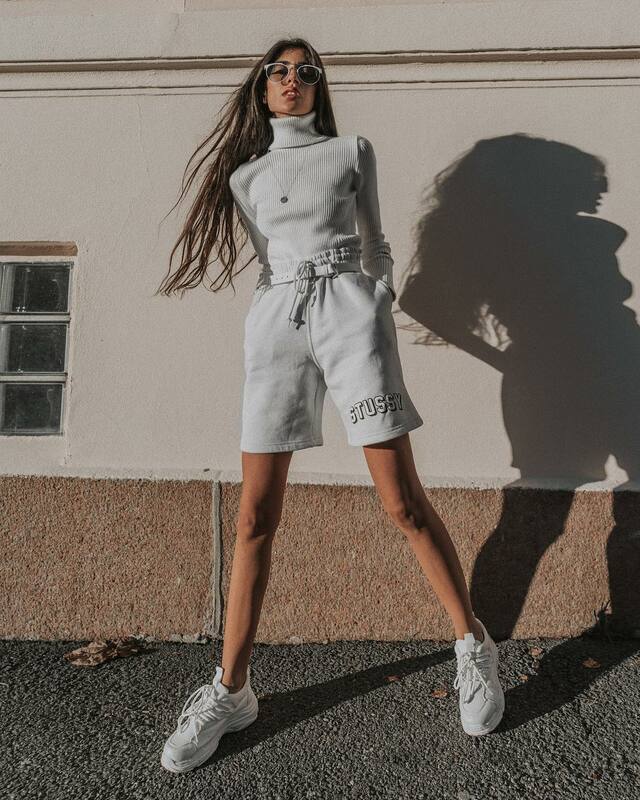 We see one colored outfit in white-grey consisting of a turtleneck, sweat shorts, and chunky white sneakers. The look is completed with stylish sunglasses and a thin necklace. Say hello to my favorite black turtleneck outfit street style inspiration. In this compilation are gathered my favorite outfit ideas that will make you look awesome this year. You might think this is a basic high-neck top that looks so much boring to you, but believe me, there are so many ways to make it look and feel very special on you. Turtlenecks can make any girl and lady look polished and classic. All you need is to look through these street style images and there will be no problem for you to wear turtleneck outfits like a pro. Let’s talk about sweet and ladylike outfit combos. In today’s article, I am about to show you best outfit ideas on how to wear a turtleneck with mini skirts this year. This combo looks fashion forward and can be used for various occasions. No matter, if you are in love with minimalist, classic, grunge, boho or any other trendy style, I highly recommend to try out this outfit combination next week. Why do I like it so much? It’s simply because of its year-round use. All you need is to know the right styling tips and tricks on how to make it work for chilly and warm days. In the following compilation are gathered my favorite street fashion looks featuring turtleneck and mini skirt.